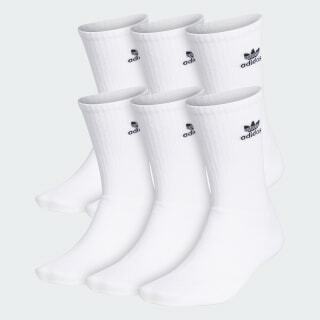 These sporty Trefoil crew socks keep feet dry and comfortable. This six-pack of crew socks will take you through an active week like a champion. Cushioning and arch compression ensure a comfortable, secure fit. And the sweat-wicking fabric keeps feet dry.